Believe or not, South by Southwest is next week. Yeah, that’s right, next week. 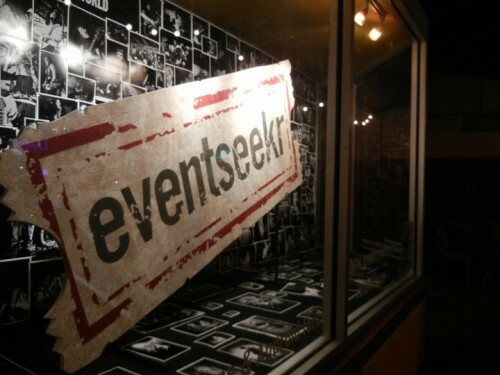 Last year, we sent a few members of the eventseeker team to the festival in Austin, TX to launch our eventseeker mobile app. As a gift to all those going this year, we’ve compiled our experiences into a handy dandy survival guide on how best to navigate through SXSW 2012. Austin is very dry at the beginning of spring. If you’re going to be attending panels in dry, air-conditioned conference rooms, and then walking outside into the dry, warm Texas air, your lips and skin will likely get a bit parched. Thus, chapstick and water are key! In terms of wardrobe, a light jacket with pockets is nice to bring– it comes in handy to have your business cards within easy reach. After all, you never know who you might strike up a conversation with– you may very well meet the CEO of an emerging tech company in a bar or at a local band’s performance at 3AM in church. Austin likes to keep it casual during SXSW, so leave your three-piece suit at home. Also, it really should go without saying, but wearing comfortable shoes is a must, too. An extra pair of flip flops wouldn’t hurt, either. The festival doesn’t lend itself very well to spontaneity. However, keep in mind that a great way to familiarize yourself with up-and-coming companies and the people behind them is to wander around the trade shows. Basically, if you want to be spontaneous, you pretty much have to allot some time and plan to be spontaneous. So have a plan of attack for each day that you are at SXSW. Keep a prioritized list of things to do (complete with backups and alternatives) and schedule these activities accordingly. Concerts, panels, parties and film screenings fill up FAST, so it is best to RSVP first and ask questions later. It’s inevitable that you won’t get to see everything you want to, so just take a deep breath and dive in. 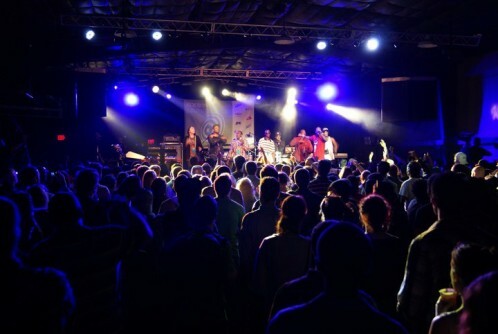 Austin is well known as a great city for live music, and doubly so during SXSW. Since the festival is centered around discovery, don’t just stick with what you are comfortable with. As you’re scheduling your activities, embrace the new and unfamiliar. Be sure to find a quiet place to rest in the middle of the day so that you can meet with others in your group to compare notes and make plans for the evening. On the very last day of SXSW Interactive we discovered a cool, dimly lit room in the convention center that had inflatable beds– magical does not even begin to describe it. 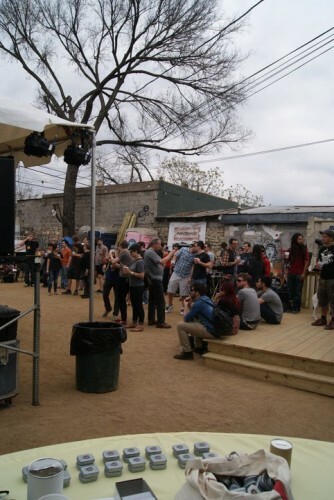 On a side note, free drinks may be particularly plentiful during SXSW Interactive, but increasingly rare as the music portion begins. Carry around a map of downtown Austin, especially if you are not very familiar with the city. 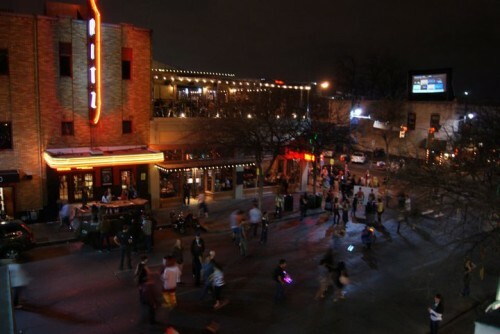 Western Austin (west of Congress) has venues that are more spread out than the intensely dense 6th Street area. Pedicabs are awesome, but tip them well please. Anticipate waiting in a huge line for the most popular showcases the same way you’d have to wait an inordinate long time to ride Space Mountain at Disneyland. However, there is a way around the wait: get a wristband the morning of the showcase at the convention center. It ensures that you will be one of the first people to be allowed inside the venue once doors open– this is a real time saver. If wristbands are not available, plan on showing up around an hour ahead of time. In fact, last year some fans waited hours for Vevo’s showcase with Kanye West, so gauge your time wisely. For films and parties, lines might snake down the street and around the corner, but that does not mean that it is a lost cause. Just remember that a little patience goes a long way since everything usually moves pretty quickly. You’re connected on Twitter, right? Make sure you are following the festival’s official Twitter handle (@SXSW), along with any bands, actors, venues, and key note speakers that you want to follow. Check Twitter religiously. With the exception of panels, schedules for concerts and parties can change with very little notice, and Twitter is likely the best way you’ll find out about it. It’s your lifeline. In addition to being a hot bed for live-music, Austin is lousy with good food; particularly Tex-Mex, barbecue and food trucks. As far as Tex-Mex goes, the eventseeker team really dug Trudy’s, and Green Mesquite gets top choice for barbecue in Austin. If at any time you’re able to escape Austin, head down to nearby Driftwood, TX to feast on The Salt Lick. Food trucks are taking over the country, and Austin is definitely no exception. You will have your choice among a plethora of trucks dishing out kebabs, mini donuts, tacos, and anything else you can think of. There’s lots of free swag at the trade show. Some of it is run of the mill stuff: pens, pencils, T-shirts, stress balls, notepads, etc. Some of it is good: last year we came away with a haul that consisted of flash drives from Seagate, credit card readers from Square, and cool tote bags. Keep an eye out for the booths with free food and drink, too. In general, lots of cool events take place on the trade show floor. The guys from Funny or Die put on a show, and Mike Tyson showed up and did a mock-boxing bout to promote a video game. That’s it for our tips! 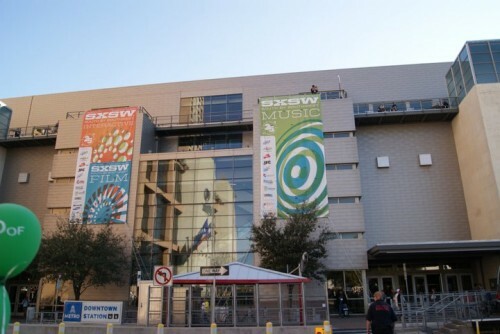 If you want to read a bit more about SXSW, check out our post on How Not To Be A Douchebag at SXSW!